green inquiry | What happened this summer with our garden? 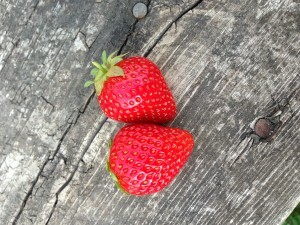 Its been a while since our last post, so we have lot to say about our garden and how its done this summer. We are happy to say its going great and we harvested continuously all summer. Corn: This year our corn was just weird; it grew funny and was very small. 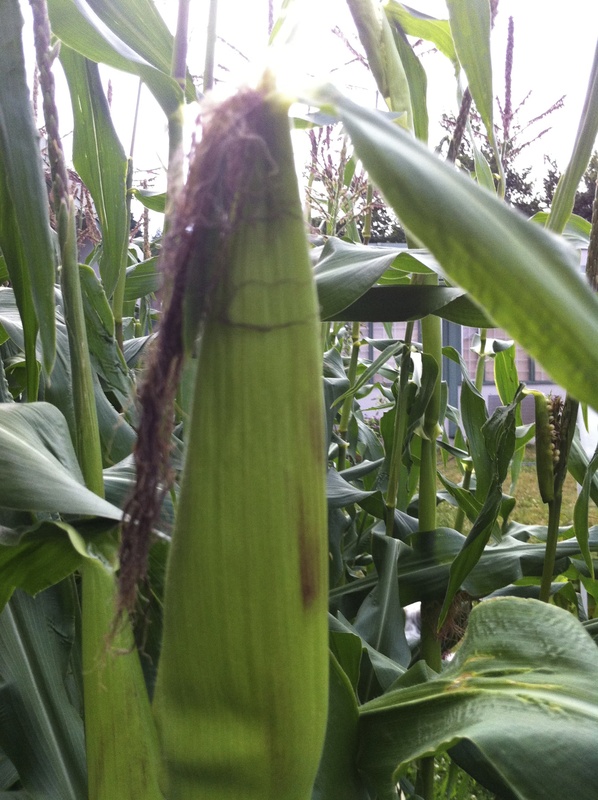 We have realized that we started our corn too early, so this might have been part of the problem. Next year we will be planting the corn later than we did so that it will hopefully be more successful. On some of the pieces that we harvested you could see where they didn’t get enough water. But other then that, the first ones that we harvested were the best because they were at their prime. 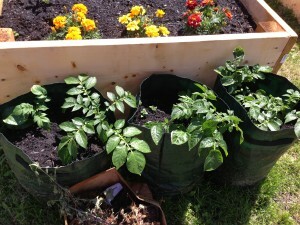 Potatoes:We planted three potato bags in late April. When we harvested them in August, there were enough potatoes for two families. We were really surprised how well the potatoes worked in the bags. I believe that covering the leaves with soil every time they grew larger and poked up to the surface really helped because it let the plants grow much larger than they would have otherwise. We did that all the way until the top and then we let the potato plants grow and flower. Afterwards, we harvested them and they were amazing. 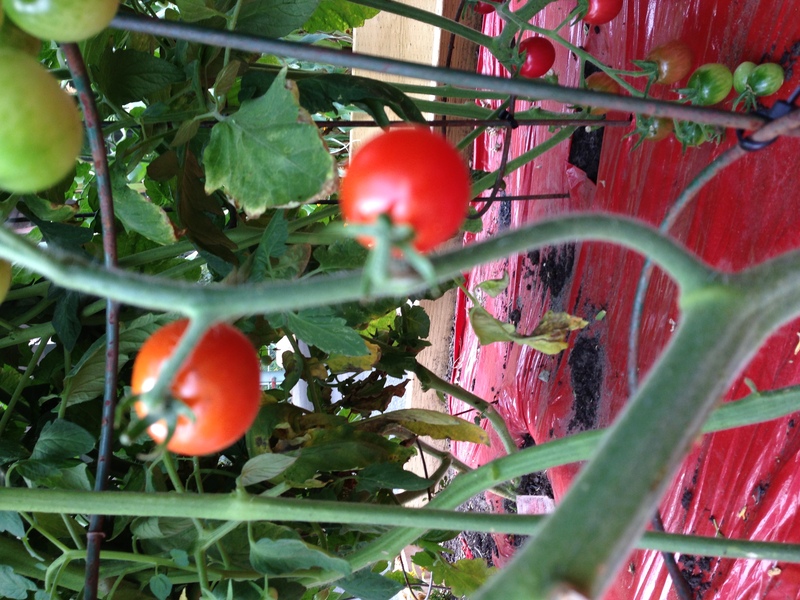 Tomatoes:We bought our tomatoes plants when they were about 6 inches tall. We let them grow in our indoor greenhouse until we had built our tomato cover (and until the weather was warm enough). We started getting tomatoes to harvest at the end of august and beginning of September which was perfect because school had started again. 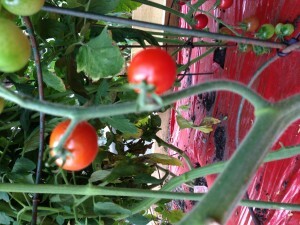 Lately we have been harvesting our tomatoes and are planning on making tomatoes sauce. Lettuce: We’ve had 3 harvests of our lettuce: in June, August and November. Through the summer our lettuce did fine, and we noticed that if we picked it in the evening of a hot day that it would have a more bitter taste so we started harvesting it in the morning/early afternoons. 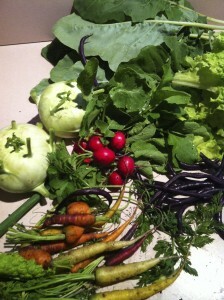 It was really nice to have a garden salad from our garden. 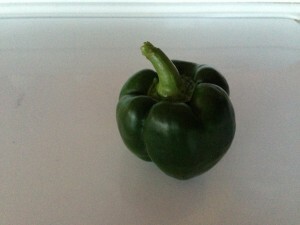 Peppers:We planted 6 plants in total of different types of peppers including bells and bananas. They would ripen into different shades of red, yellow and green. They were very flavorful and delicious. 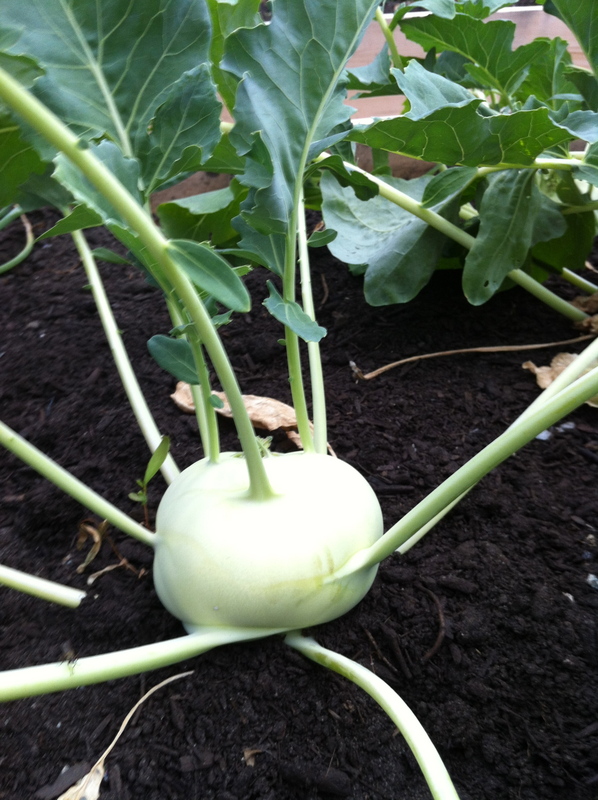 Kohlrabi:We had 2 harvests of kohlrabi over the summer, harvesting them all at different sizes. We realized that the bigger they got the more woody they would be, but they still tasted good. It was a new veggie that not many of the students knew about and it was nice to add something new to the veggie plate. Beets:The beats were very good and flavorful. Unfortunately we did not plant enough. Next time we plant them; we will need to plant more. 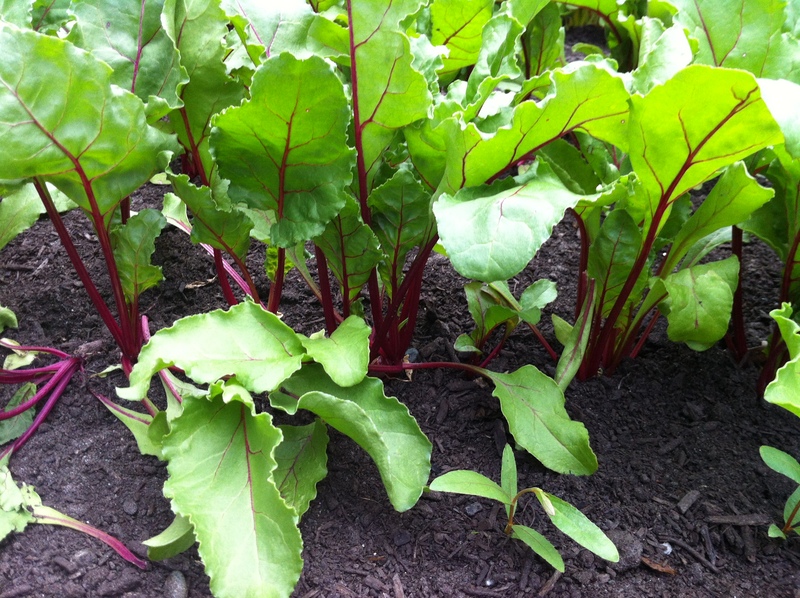 Swiss chard :The Swiss chard was healthy and brightly coloured. They were very delicious to eat. The only unfortunate thing was that the butternut squash that someone planted grew very large beside the Swiss chard and buried it with their leaves. Zucchini:The zucchinis were huge. During the summer when we were watering everyone forgot to look under the leaves. When I looked, I was very surprised that the zucchinis were huge and there were quite a few of them. Since you can only eat so much zucchini we shredded it and froze it. We will make it into something for the school to enjoy. 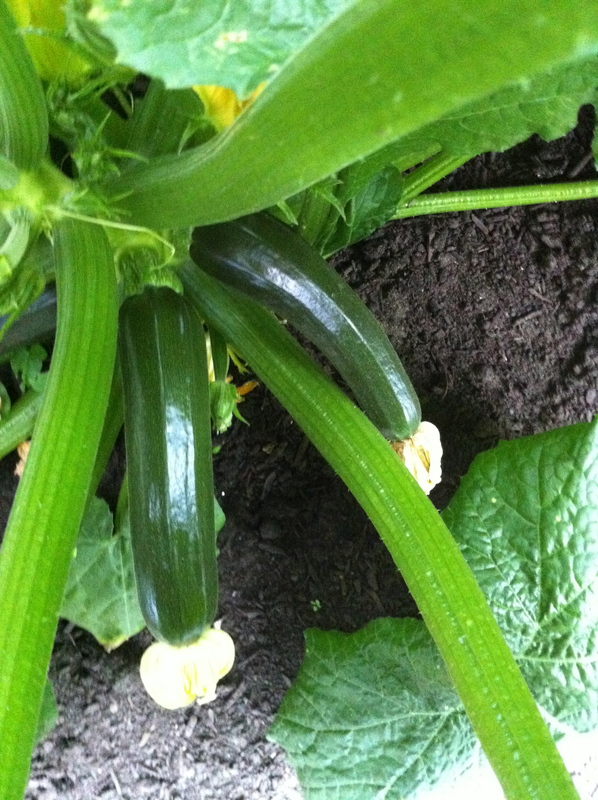 We began watching the zucchini more often and started to pick them when they were a little smaller. 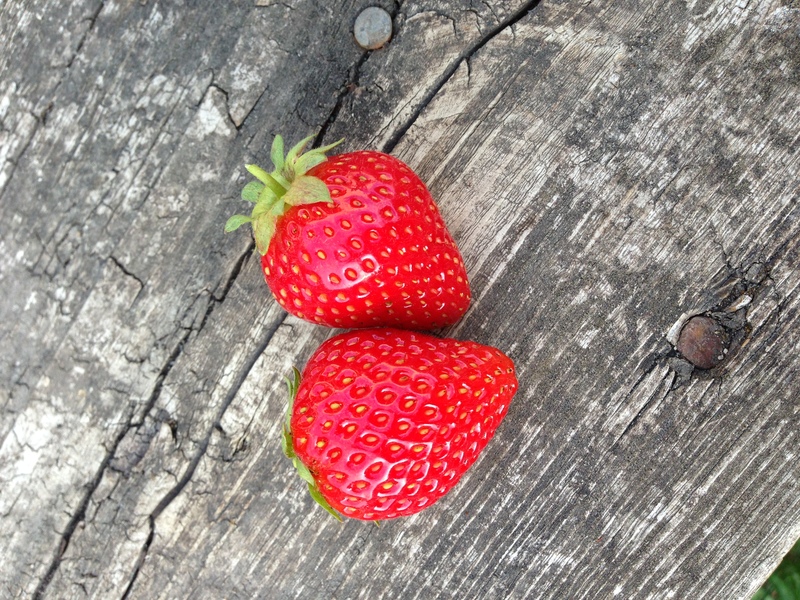 Strawberries:We had a good amount of strawberries. We started with six plants but all of them shot out lots of runners so we’re not sure how many we have now. In the future we will be able to transplant them and next year have enough so the every student could have one or two. Celery: Our celery was nice and crispy. It was neat to be able to pick them and then wash and eat all with in minutes; it was the freshest celery we’ve ever had. Snap peas:Our snap peas were good, they grew well in the potatoes bags and they were healthy green pods that tasted delicious. We also planted another batch that we will harvest at the end of November. 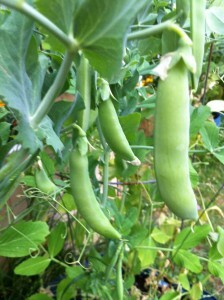 Beans:Our beans did as well as the snap peas and where delicious to eat as well. Unfortunately we did not harvest all of them as we should have, so we had some extra food for the worms in our composter. Radishes: We had several crops of radishes since their growing period is shorter and easier to stager. Many people in our school community got to eat some. There was quite a range in their spiciness, the small pink and red ones were sweeter, and the larger white ones were spicier. 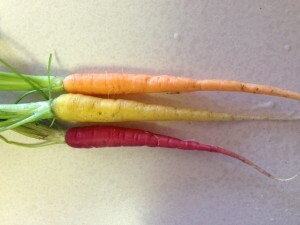 Carrots: Similar to the radishes, we had many crops of carrots and tried many different kinds. The Paris market blend were short and stubby, but very sweet. Rainbow blend had a variety of different colours, they were about the size of our fingers when they were at their peak but they also could grow quite big.